Tomorrow and until Sunday, I'm at table Z2 in Artists Alley at the New York Comic Convention, representing myself and Aces Weekly, signing and sketching with some of my fine fellow creators. If you're there come and say hi : ) And subscribe to Aces Weekly! Presenting Aces Weekly Part 1 : The Early Days. Warning: This video contains flashing images. 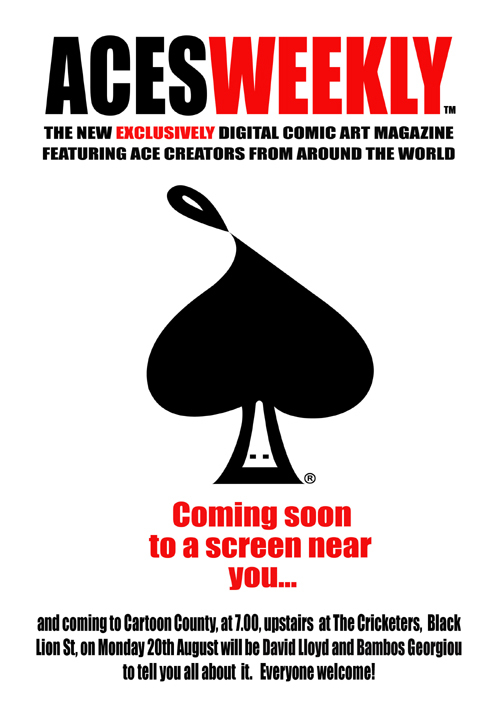 Long time since I've been able to update here, but my tardiness is the result this time of massively distracting work on a new project I'm putting together as a contributor AND publisher : an exclusively digital comic art magazine - Aces Weekly - which features ace creators from around the world. You'll be hearing more of it very shortly on comic art news sites if you haven't already and we'll be going into full swing on it soon, so you'll be hearing about it all over! And I'm on Twitter now @lforlloyd talking about it as it progresses, along with my managing editor, Bambos Georgiou, who'll be tweeting from @acesweekly, so follow us to find out more! 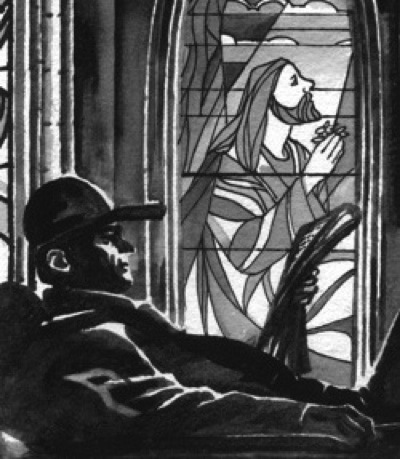 I'm very proud of it - we're presenting folks like Kyle Baker, Steve Bissette, John McCrea, Yishan Li, in serials and stories you will not see anywhere else.